Not only is Bocce one of the most popular games at our retirement residences, Bocce is also one of the world’s oldest known sports. There’s evidence that a very early version of the game was played in 5000 B.C. in Egypt; a painting depicting two boys tossing polished balls in what looks like the game of Bocce was discovered in an ancient tomb. From there, the sport spread through Asia Minor to Greece, where it was learned by the Romans. The Roman Empire spread it across Europe, Africa, and Asia, and invented what is likely the earliest version of the game played today. They initially used coconuts from Africa and later balls carved from hardened olive wood. The game of Bocce has risen and fallen in popularity over the thousands of years in which it has been played. In the year 1319, Bocce was banned by the Emperor Charles IV, who ruled the Holy Roman Empire from Prague. It was believed that Bocce was too much of a distraction, because it preoccupied too many people – especially minor nobles – from training in militaristic pursuits like archery. But, two hundred years later, Bocce was being played in public across Holland, Belgium, and Flanders. Since then, the popularity of the sport has waxed and waned, reaching a newfound peak in 1896 when it became an Olympic sport in Athens, Greece. Ever since, Bocce has been an international sport, and a return to the Olympics has been proposed. Today, Bocce is a tournament sport with more than 25 million enthusiasts. Professional players compete for large cash prizes in corporate-sponsored tournaments. But it’s also a game that’s open to players of any skill level. Easy to learn and flexible with its rules, it’s a friendly sport to players of all athletic ability. 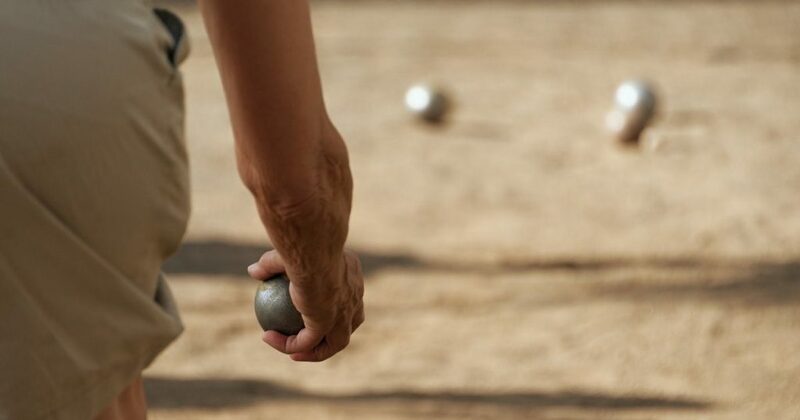 Bocce has also gone by many names throughout the years, evolving into lawn bowling, Pétanque, nine pins, skittles, and more. Every year, we have retirement communities across Canada host the ASC Games, an exciting, week-long competition involving archery, Wii Bowling & Golf, billiards, shuffleboard, card and board games, Pétanque, and Bocce. The Bocce games are always hotly contested and a fan favourite among our residents. The ASC Games are a highlight of senior housing in Alberta, Manitoba, Ontario, Saskatchewan, and Quebec provided by All Seniors Care. It all begins January 14th with Spirit Week to get our residents excited about the games. They also enjoy plenty of opportunities to practice their Bocce game, as well as stay physically active with the many exercise programs going on every day at our retirement residences. It’s important to stay active all through winter (and all year long). Bocce is a great way for seniors to stay social too. To find out more about the activities going on at one of our retirement residences near you, just give us a call and ask! Bocce may be just the beginning for seniors with a world of new hobbies to explore.